Posted October 11, 2018 by Angie Ball & filed under Risk Management Bulletin. Competitive risk challenges many businesses like yours, especially during the holiday season. This year, manager competitive risk effectively in several ways. Instead of waiting until closer to the holidays to figure out what your competitors are planning or which promotions were most successful in the past, do your research now. You’re more likely to enjoy a successful holiday season if you prepare for it. Use social media, in-store review cards and other methods to ask your customers what they want to see during the holidays. Are they interested in new products, free gift wrapping or bundle sales? Take their opinions into account as you plan to attract and please customers this season. Don’t be afraid to try something new this year. When you think outside of the box, you have an edge over competitors who do the same thing year after year. The holiday season is the perfect time to test out a new location. Rent a kiosk at the mall, set up a temporary booth in a complementary business or open an online store. Try out a new location as you give customers more opportunities to find you and purchase your products. Discounts do attract customers, but you risk harming your bottom line if you cut prices too much. Take care to price products fairly so that your customers get a deal and you attract business without affecting your profit. Customers typically like a good deal and see bundles as a financially lucrative investment. Group similar products together in a bundle or offer a complementary product or service as you prompt more sales. Your goal for the holiday season is to improve fourth-quarter sales, but you also want to build your business into the new year. Consider a subscription service. Customers can purchase the subscription during the holiday season and gain benefits for months to come while your business creates ongoing income. Increasingly, consumers search online before making purchases. Is your website user-friendly and attractive? Does it make shopping easy and work well on mobile devices? Make these changes now so your website is ready for the holiday shopping rush. Sure, you want to sell more products than your competitors so you can make a profit. However, competition can force you to improve product quality and customer service while you reduce overhead and trim expenses. Overall, competition can make your business better, so be grateful for it. Competitive risk can make or break your business. This holiday season, manage this risk in several ways as you please your customers and your bottom line. Established in 1990, the Americans With Disabilities Act (ADA) protects disabled Americans from discrimination. The term “disabled” applies to anyone with a physical or mental impairment that significantly limits or restricts a daily life activity, and ADA laws apply in the workplace and nearly any public space. Learn more about how your small business can comply with ADA laws, protect your employees and customers, and avoid expensive and time-consuming lawsuits. While beneficial, ADA laws change frequently. Your small business may not have the time or resources to remain updated and complaint. However, if you don’t maintain ADA compliance at all times, you could face numerous fines and lawsuits. Additionally, you lose valuable employees and customers and damage your professional reputation. Your small business can become ADA compliant when you take several steps. Certain structures built before early 1993 may be exempt from strict guidelines that apply to structures built after early 1993, but you will need to perform an ADA assessment no matter when your building was constructed. Your property and business could face specific risks such as non-compliant entryways, incorrect bathroom signs or shelves that are hung too high. A certified ADA specialist will assess your property based on applicable current laws. You may also hire an architect with experience in equal-access requirements to perform the assessment and suggest necessary changes. After you have identified your specific risks, correct them. Hire an architect, contractor or other professional to make the necessary changes and secure your ADA compliance. Remember that your small business may be eligible for numerous annual tax credits and deductions that offset a portion of your renovation costs. Certain enterprising individuals may drive by your property, note ADA violations then file a lawsuit. You could then be liable for legal fees and repairs. Unfortunately, you cannot prevent drive-by lawsuits, but you can purchase adequate insurance to cover some of your losses and give you peace of mind. A commercial general liability policy doesn’t prevent an ADA-related lawsuit, but it does provide invaluable financial resources if you are sued. Consider purchasing errors and omissions insurance, an employment practices liability policy and umbrella coverage, too, as you protect your small business. Your insurance agent can offer additional advice on the invaluable coverage you need. Your small business can and must become ADA compliant or you will face expensive and time-consuming lawsuits. Use these tips to secure compliance and protect your employees, customers and company. For more information, contact the Department of Justice’s ADA Information Line at 800- 514-0301. Posted October 11, 2018 by Angie Ball & filed under Employment Resources. Throwing a Halloween office party can build morale and teamwork. However, you want to make sure it’s fun for your employees. Here are some helpful tips to remember as you plan this year’s Halloween party. Consider the purpose of your party as you set a time for it. Held on a workday, the party gives everyone a mini break from work and encourages attendance. Assemble after work, and you may increase the fun but have fewer attendees. Both options are okay, so choose the right one for your company. Even if you haven’t finalized all the party details, set and share the party date with employees at least one month in advance. Advance notice gives your team ample time to arrange work projects and prepare a costume. Collect food for a local charity. Eat seasonal foods and beverages, such as pumpkin muffins or apple cider. Plan to award prizes in several categories as you build excitement for the party. 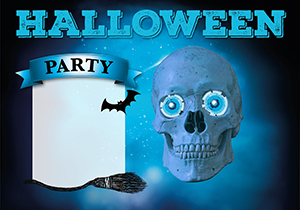 Categories can include most original costume, best department decorations or the most unique game idea. While costumes are part of the Halloween party fun, remind employees to follow company guidelines, especially for staff members who interact with customers. Depending on your company, these guidelines may limit gore and blood or scary costumes. Consider asking departments to share in the party planning. Assign different departments to plan snacks, games and decorations. Delegating gives employees an opportunity to work together, encourages teamwork and ensures everyone has a stake in the party’s success. You may be surprised at what you learn about your staff as you observe them in a relaxed environment. Maybe one of your employees takes initiative to run the games while another designs a creative costume. Take this opportunity to spot untapped talent that might prompt beneficial changes for the company. In some cultures, Halloween has a negative or even satanic connotation. Rather than drop the party, include input from all perspectives as you plan your office party. Consider toning down the Halloween focus in favor of a fall theme, if necessary. Add to the fun when you invite employees to bring their family members to the party. They can dress up and participate in the games and festivities, too. This year, plan a Halloween party for your office and improve morale and teamwork. These helpful tips allow you to plan a party everyone will enjoy. At the beginning of the new year, many companies offer raises to employees. What happens, though, when employees express unhappiness about the raises they receive? If they complain to each other, productivity and morale decline. Use several tips as you handle these complaints promptly and properly and encourage a positive, productive and healthy work environment. Employees should feel comfortable discussing any subject with you, including pay. Strive to cultivate an open door policy, and listen carefully to your employees so they feel comfortable being honest with you about all their concerns. Search the U.S. Bureau of Labor Statistics, PayScale.com, Salary.com and job listings to find the current pay rates for employees in your industry. For the most accurate data, research companies of comparable size with employees of similar talents and skills to your employees. If your company’s pay raises depend on employee performance, prepare a review of the employee’s record and performance during the last year as you outline the reasoning for their specific pay raise. Offer suggestions for improvement, too, so your employees know exactly how to qualify for a bigger raise next year. Your company may offer larger raises to employees after they work there for a certain number of years, or your raise policy may give everyone the same raise regardless of merit. Review this policy with employees as you explain their pay raise. In lieu of large pay raises, the company may boost the employee benefits package or offer alternative benefits like extra time off or a flexible work schedule. Discuss these perks with employees as you help them understand this year’s pay raise. Your company could have multiple reasons for giving lower-than-expected raises. 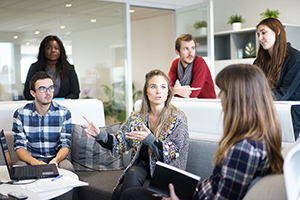 While you don’t have to explain all the reasons to your employees, share some details, such as the employee budget, increase in insurance benefits or slow production, that help them understand your point of view. When employees take time to complain about their pay raise, record their concerns, including why they believe they deserve a bigger raise, your reasoning for the raise they received and any suggestions you made for their future improvement. The employees will appreciate being heard and the fact that you take their compensation complaints seriously. If employees complain about their pay raise, you can take these steps to address the complaint promptly and properly. Handle the situation the right way, and you build rapport and create a stronger company.